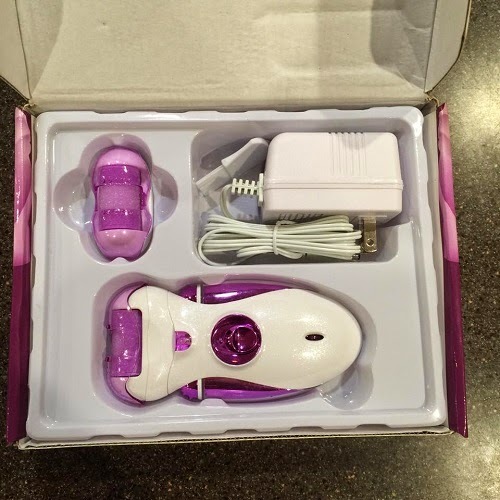 I was very excited when I found out I will be reviewing a callus remover. I hate having calluses on my feet, but having them removed by professionals are very expensive. Thanks to Naturalico, I can now do the job right at the comfort of my home. 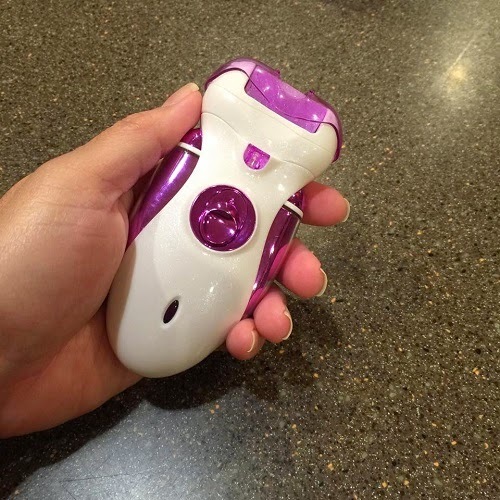 The callus remover has a sleek design, it's easy to hold and grip and it fits my hand perfectly. I love that it's so easy to use and it doesn't hurt like metal scrapers and pumice stones. What I did was gently moved it along my foot, just as instructed. It comes with an LED light that helps you see trouble spots. After a few seconds, I washed my feet with soap and warm water, then I applied foot lotion. I was pleasantly surprised that the skin on my feet felt very soft and smooth. 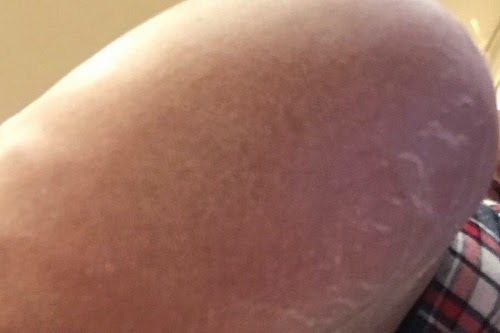 This tool took away the dry skin in seconds what other callus removers took weeks. 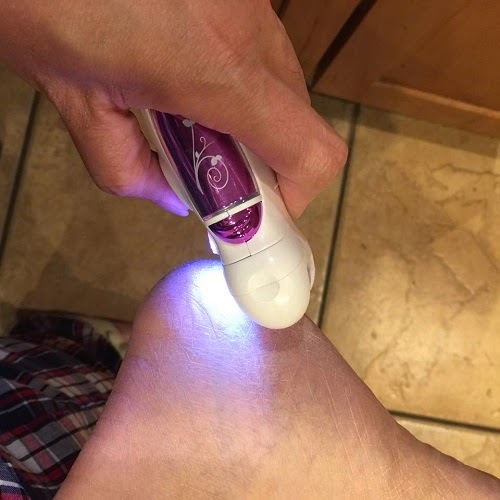 You can see in the photos how my husband's foot has improved after using the callus remover. I was planning to take my own photos, but I was too excited to try it that I forgot to take the "before" pictures. Good thing the man of the house was game at this and he easily agreed to model for me. Overall, this is a great tool and I love it. I've been using it for a few days and I love how it worked on taking away calluses and dry skin. If you're tired of using pumice stones or metal scrapers, this is a good product to try. I love that it's rechargeable' it saves you from buying batteries over and over again. 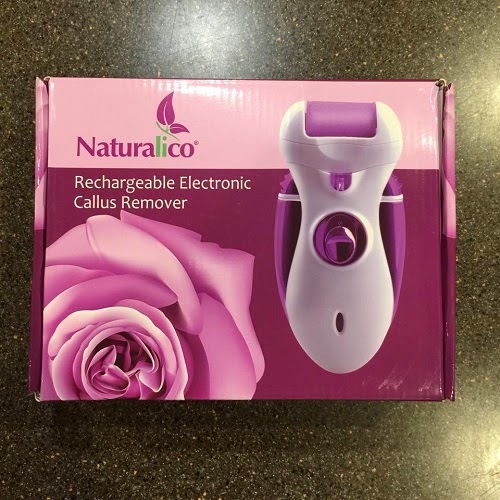 You can purchase the Rechargeable Electronic Pedicure Foot File and Callus Remover through the Bella Naturals website and on Amazon. 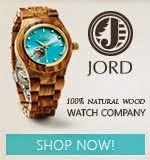 It's fairly priced at $29.99.